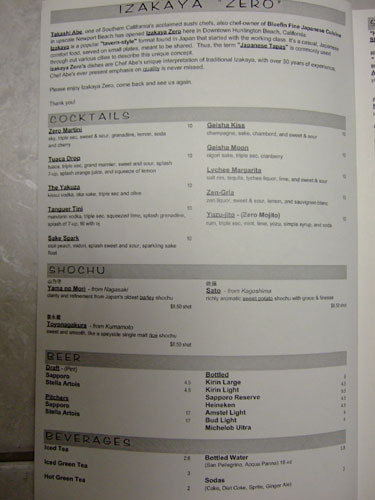 Izakaya Zero is the newest creation of Takashi Abe, of Bluefin Newport Beach fame, and partner Ted Lee. 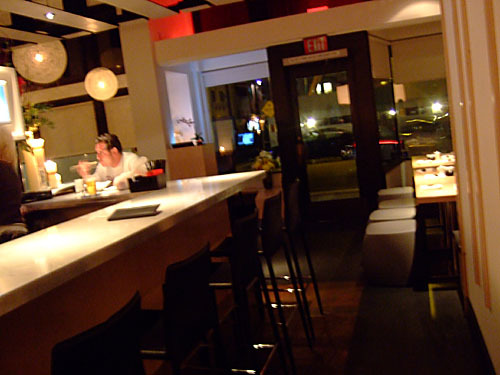 Their aim, at the site of the old Red Pearl Kitchen, was to create an izakaya, or Japanese neighborhood pub, serving tapas-style small plates. I've been a fan of Abe ever since eating at his eponymous restaurant on the Newport peninsula (which has since been sold), so trying out this latest venture was a no-brainer. 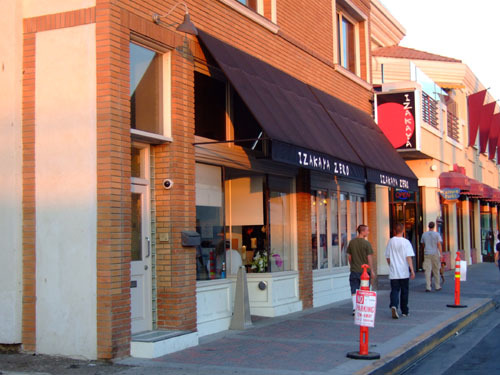 Izakaya Zero is located in downtown Huntington Beach, which means parking is horrendous. I think we ended up three or four blocks away. Note the red and black sign, a reference to the practice of hanging red lanterns outside izakayas in Japan. 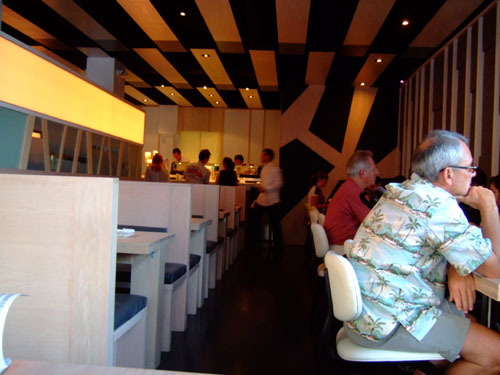 Half of the restaurant is dedicated to the bar, while the other half contains a small sushi bar and some cramped booths and tables. 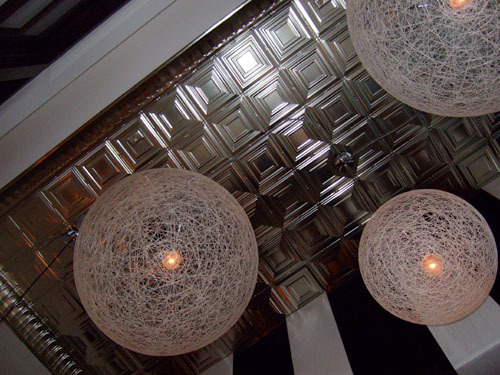 The decor is nice enough, though I'm not sure how much they changed from the old tenants. 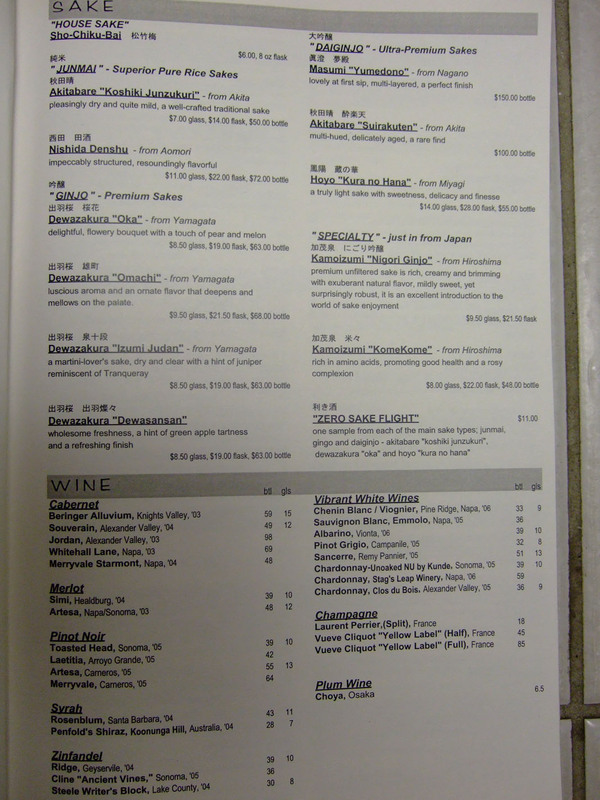 The menu lists a small selection of beer, sake, and wine before moving on to the myriad of food selections. 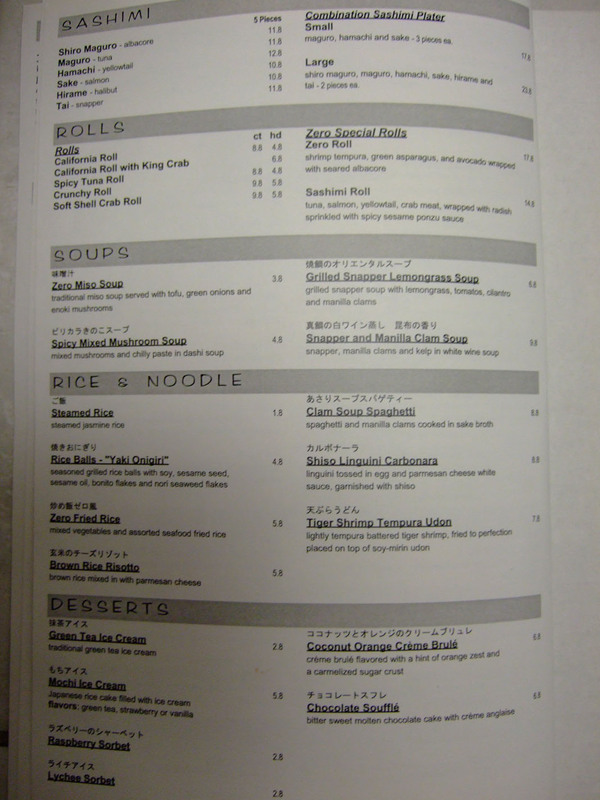 The sheer number of items is a bit overwhelming, and I'd like to see some rationalization of the menu. I'd also prefer some more typical izakaya dishes instead of the many Bluefin-lite entries (such as the halibut carpaccio and scallop/uni ravioli). Note the signature of Abe-san on the front cover. He and Ted were actually sitting at the bar when we were leaving and we got to chat with them a while. 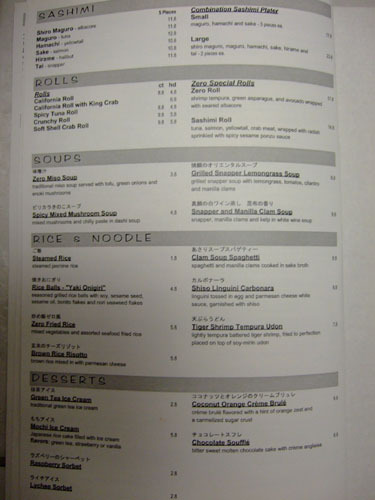 They informed us that they were opening up a new family-oriented Japanese restaurant called Sea Smoke in San Clemente. I gave Abe my card, saving that we'd love to come on opening night. We also had bottles of Kirin Light and Sapporo Reserve (not pictured). 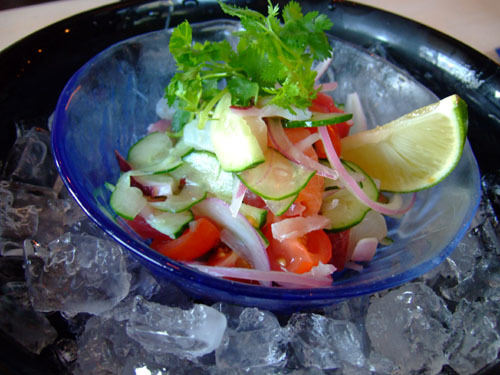 Assorted seafood sashimi, tossed with red onions, tomatoes, and with yuzu-citrus dressing. If I recall correctly, this had salmon, yellowtail, and octopus. 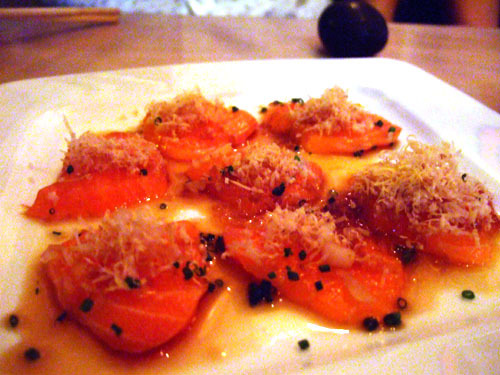 Very nice and fresh, with the sashimi playing well with the tart yuzu sauce. A great way to start the meal. 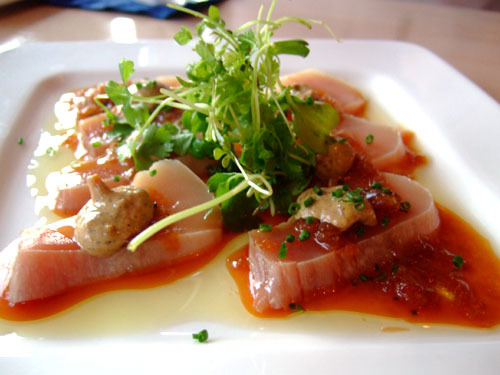 Lightly seared albacore topped with our roasted herbs and vegetable sauce. Seared albacore is nearly omnipresent on menus these days, but the dollops of vegetable sauce added a great twist to this old standard. 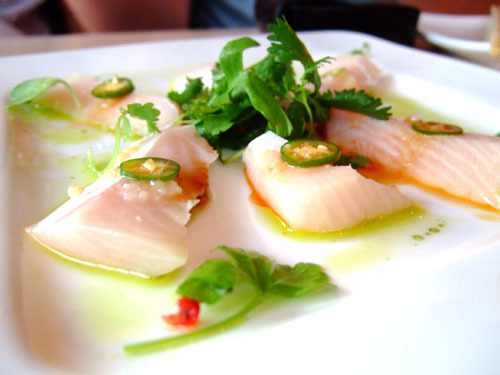 Yellowtail sashimi topped with jalapeño slices, cilantro, goji berries and yuzu sauce. 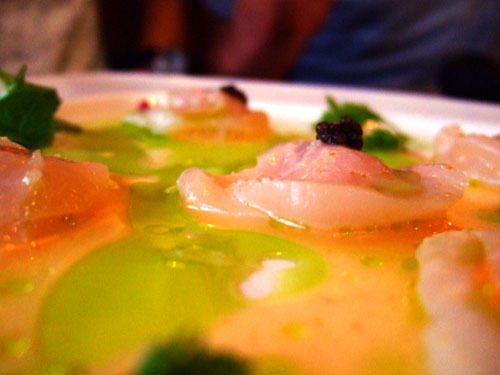 I liked how the mildness of the sashimi was augmented by the spice of the peppers and the acidity of the yuzu. 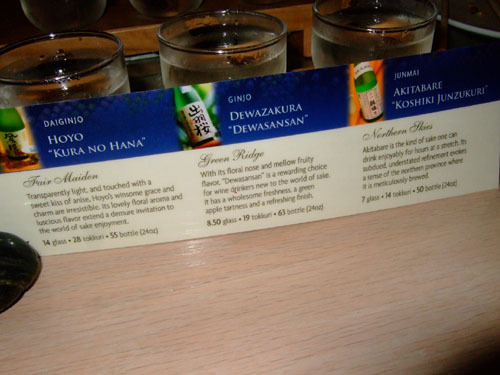 Reminds me of a dish I had at Matsuhisa, but not quite as good. 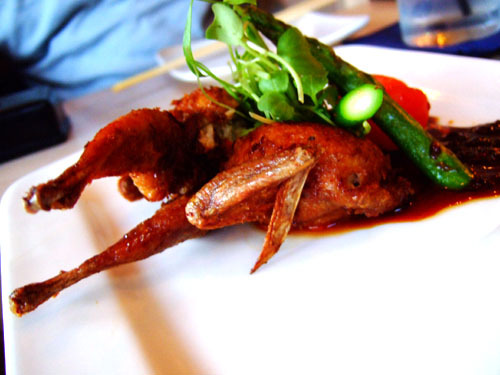 Deep-fried quail, stuffed with seasoned chicken and topped with star anise sauce. This was a very "Asian-style" preparation compared to some of the other birds I've had. The quail meat itself was quite tasty, but I wasn't a huge fan of the stuffing. 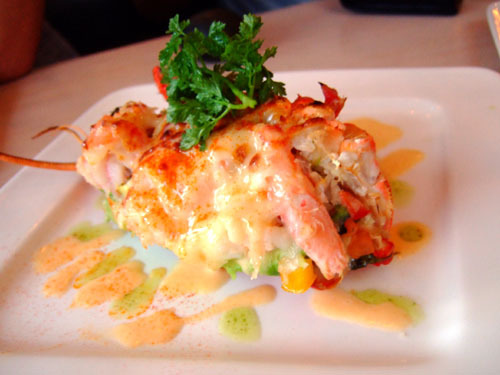 Stuffed lobster with avocado and tomato salsa, topped with crab and melted mozzarella cheese. This dish was a bit of a mess. 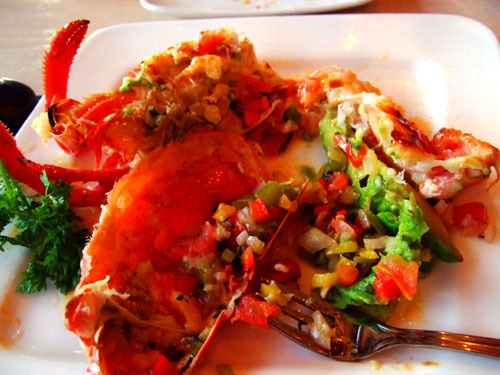 There was precious little lobster meat to go around, the cheese didn't fit well with the other flavors, and the stuffing was rather nondescript. 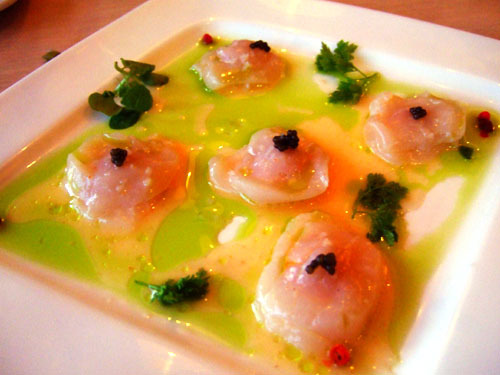 Thinly sliced scallop sashimi stuffed with sea urchin and garnished with caviar and goji berries. 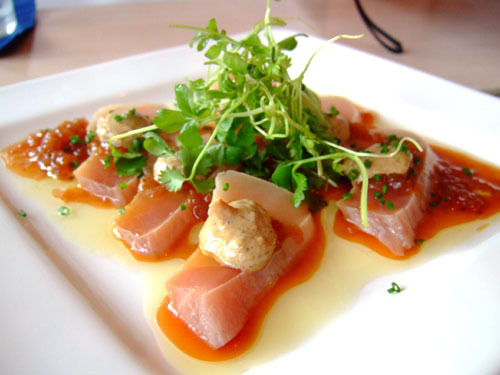 This was almost an exact copy of a dish I had at Bluefin (minus the gold leaf). The scallop and uni make for an interesting pair. 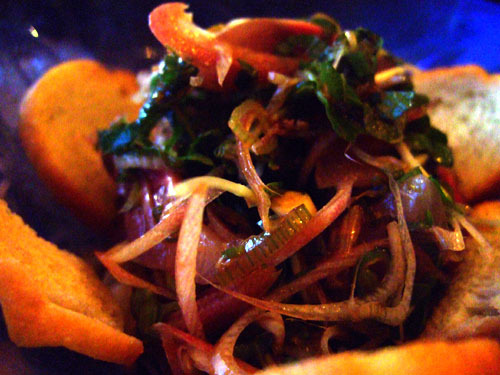 Spanish mackerel diced and tossed with shiso, caper, and onion, served with baguettes. The natural fishiness of the mackerel here was tempered a bit by a very tart sauce. Nice, though the baguettes were a bit redundant. 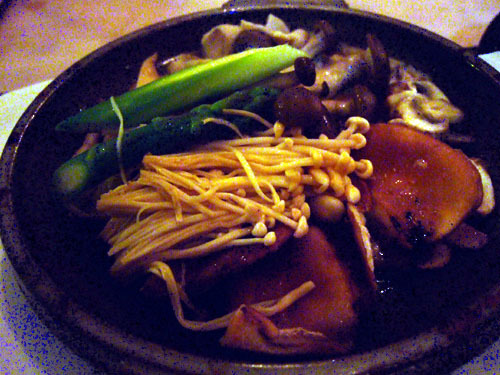 Sizzling Mixed Mushroom - "Toban Yaki"
Sizzling shinoki, enoki, and shiitaki mushrooms on hotplate with sake, soy, yuzu-butter sauce. I've never had a bad mushroom tobanyaki, and this was no exception. 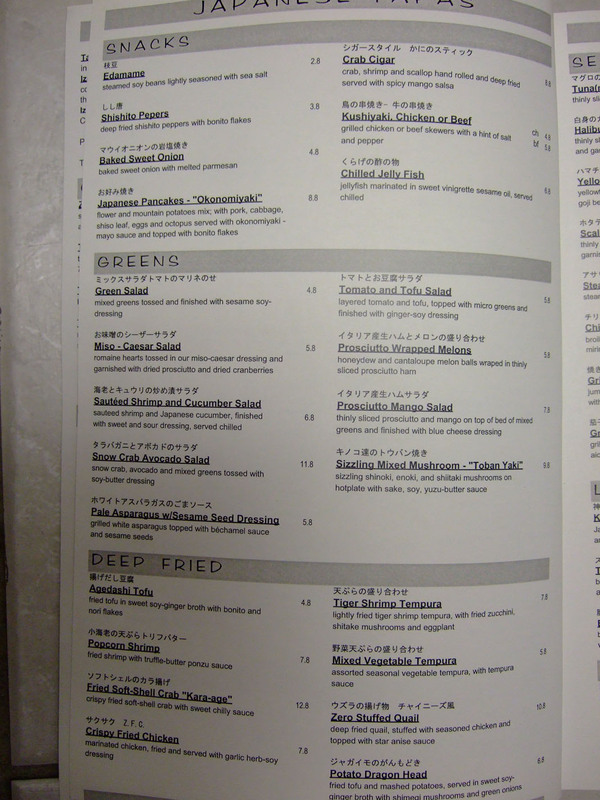 However, it wasn't up to the level of the tobanyaki at the original Abe. 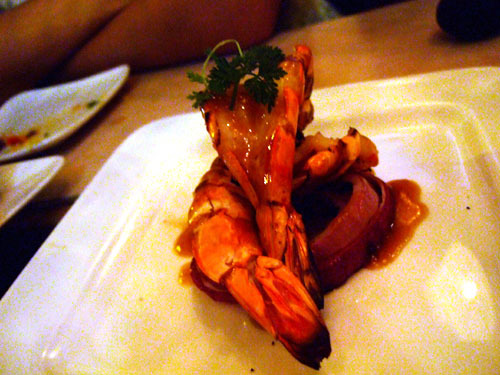 Jumbo black tiger shrimp halved, grilled and seasoned with spicy lemon garlic sauce. 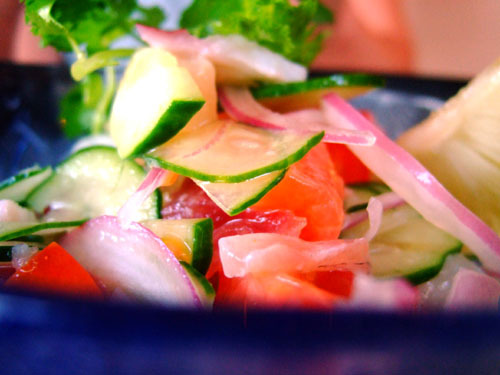 Excellent texture and expertly flavored. One of my favorites of the night. 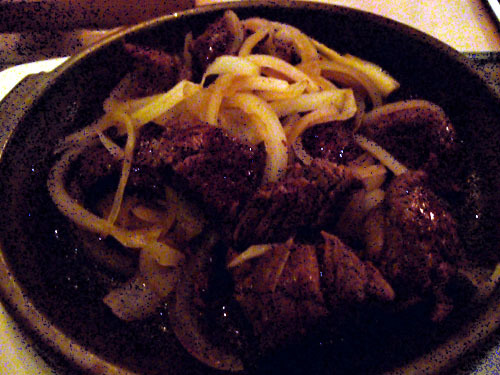 Filet Mignon Cube Steak - "Koro Koro"
Filet mignon cubes, sautéed in cognac and served on a bed of sautéed sweet onion. A waste of filet mignon in my opinion. 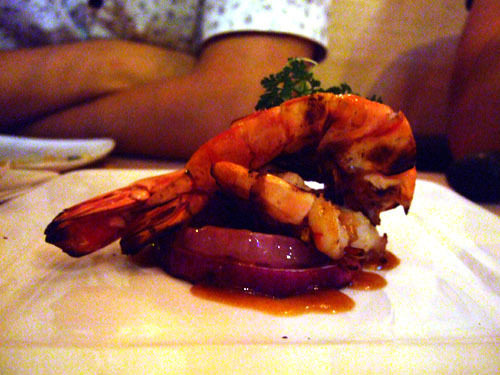 This was cooked too well though and lacked any type of flavor; the only thing I tasted was sweet onion. 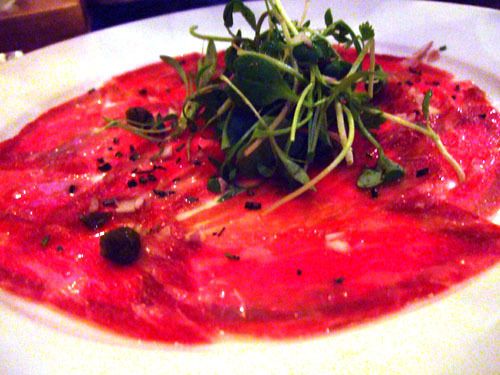 Japanese kobe beef thinly sliced with yuzu-soy sauce and truffle oil. The sauce wasn't nearly as overpowering here as with the Bluefin version. 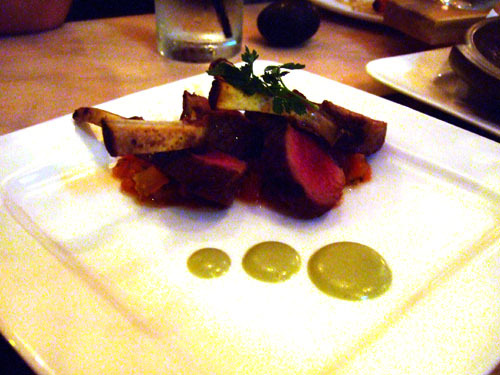 Good enough, but I doubt this was Kobe beef. 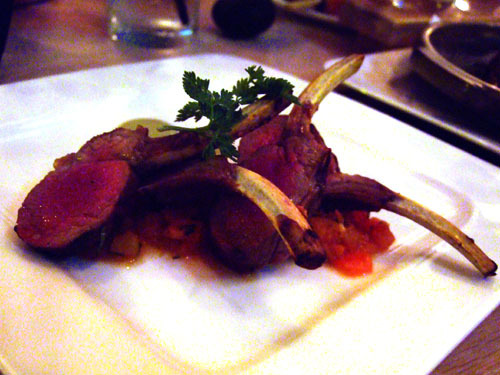 Japanese marinated lamb chop served with tomato purée and basil sauce. These "lollipops" were nicely done and tender, though I've had many better preparations. 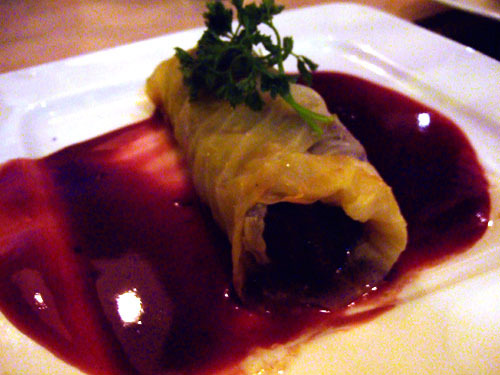 Braised beef cheek wrapped in cabbage topped with Port wine sauce. 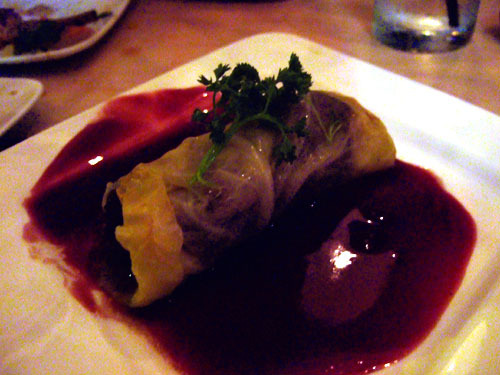 I liked the super-tender and flavorful braised beef but didn't care for the odd cabbage wrapper or the Port sauce. 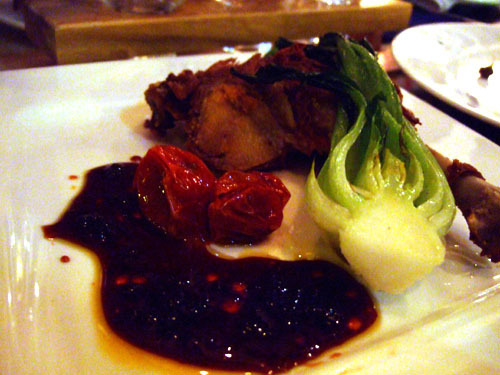 Duck leg confit finished with star anise sauce accompanied with pan-seared crispy boc choy. 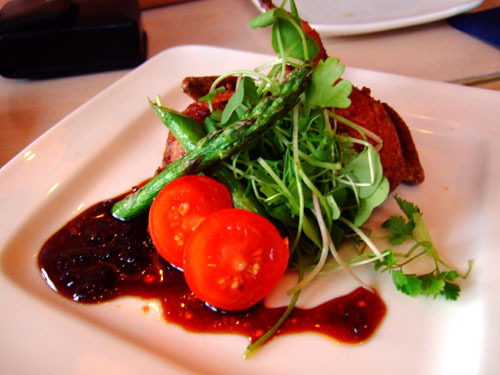 I enjoyed the duck (confit is hard to mess up for me), but the boc choy was unnecessary. 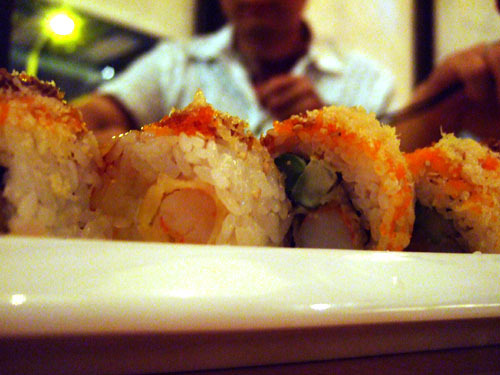 Tempura shrimp and asparagus, topped with tempura flakes and tobiko. Unfortunately, this couldn't hold a candle to the crunchy roll at Sushi Wave; the various components just did mesh well with me. 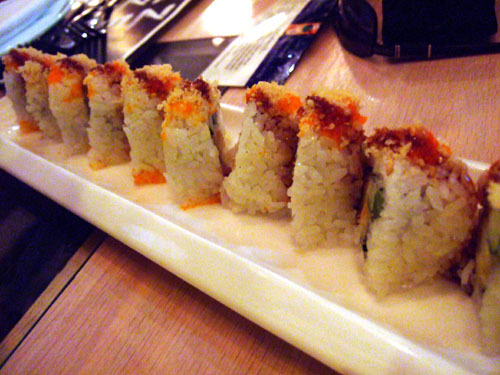 Sushi Wave is where I first discovered my love of sushi and I've yet to find a place that matches its crunchy roll. 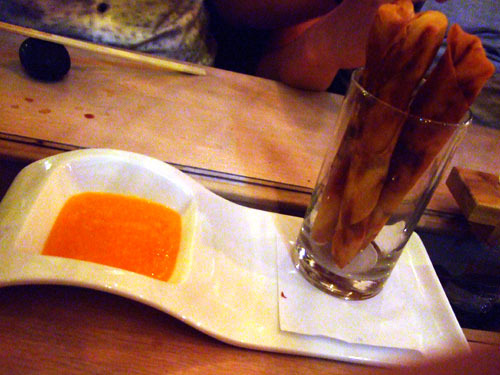 Crab, shrimp and scallop hand rolled and deep-fried served with spicy mango salsa. It was too bad this came deep-fried. 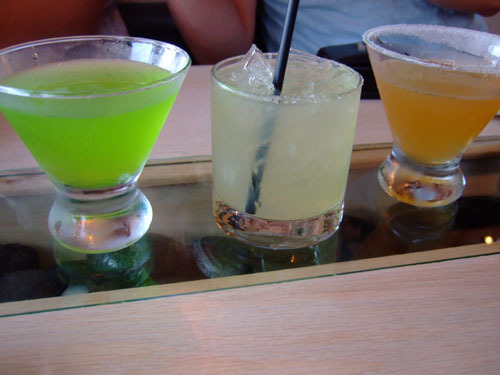 I'm sure the flavors would have been much sharper and less muddled had the ingredients came simply chilled. 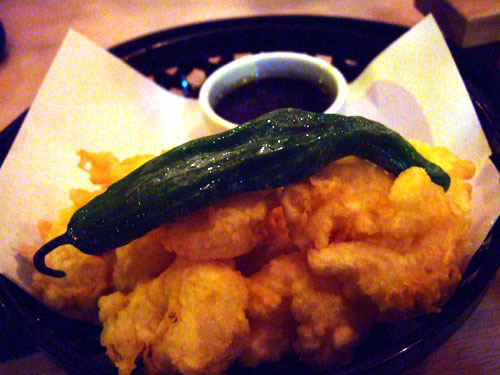 Fried shrimp with truffle-butter ponzu sauce. 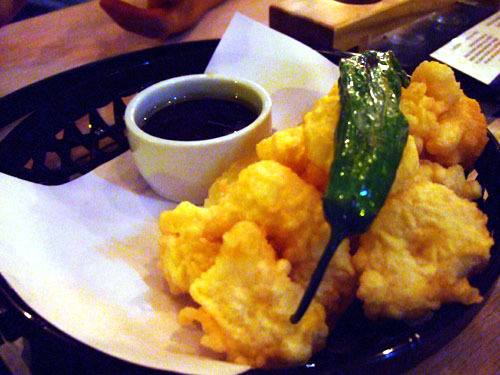 I usually expect "popcorn" shrimp to be small little things, but these were quality pieces of shrimp expertly fried and accompanied by a perfect dipping sauce. Very nice. 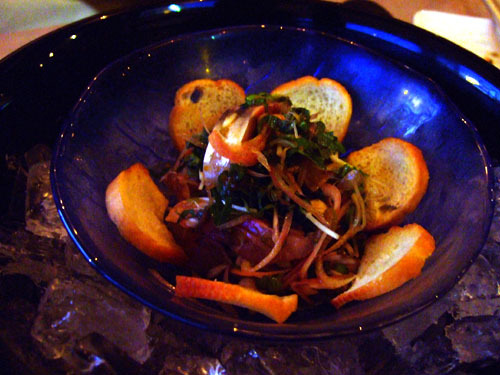 Thinly sliced salmon with diced white onions, ponzu sauce, bonito flakes and drizzled with basil-chive oil. 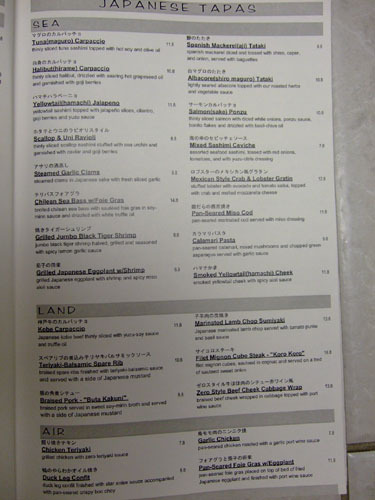 The salmon was fresh, and I liked the sauce and various accoutrements, but could've done without the bonito here. 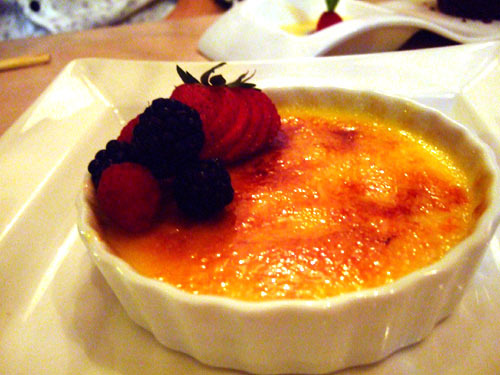 Crème brûlée flavored with a hint of orange zest and a caramelized sugar crust. For me, the orange notes overpowered an otherwise classic preparation of crème brûlée. 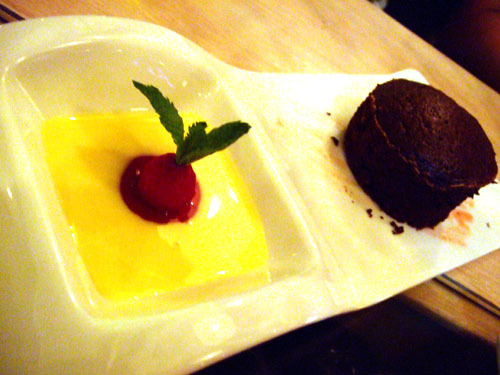 Bitter sweet molten chocolate cake with crème anglaise. A fairly standard molten cake, it's hard to go wrong with this. 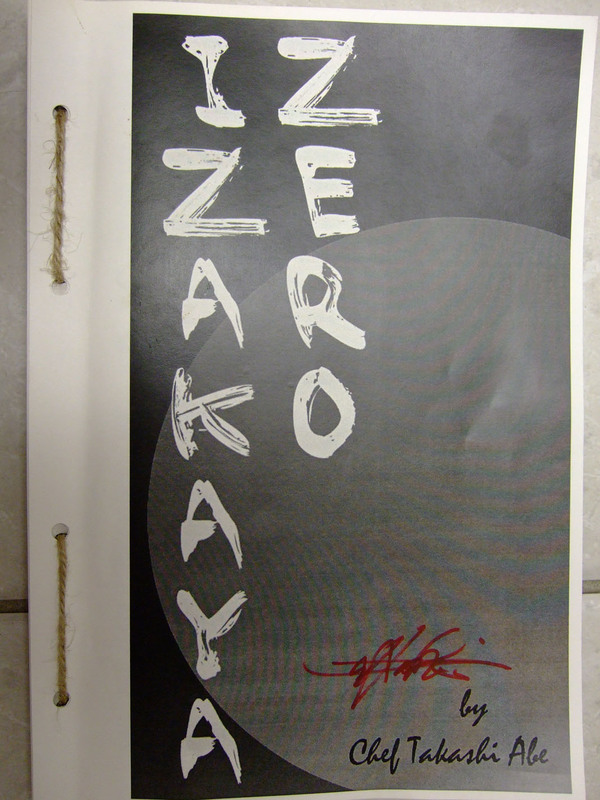 Izakaya Zero didn't quite live up to the high expectations I had come to expect from Abe and company. 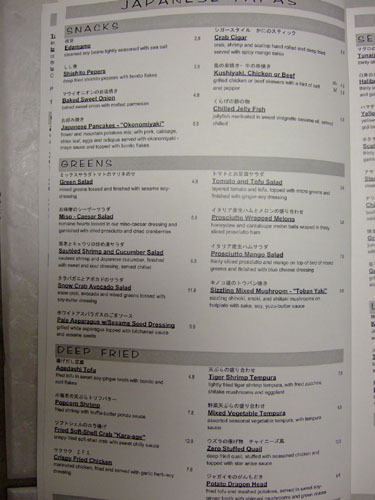 There is definitely potential here however, I just think that they need to focus their menu a bit more, and try to incorporate more authentic izakaya-style dishes. Bluefin had similar teething problems, so I'm confident things will work out here given time. 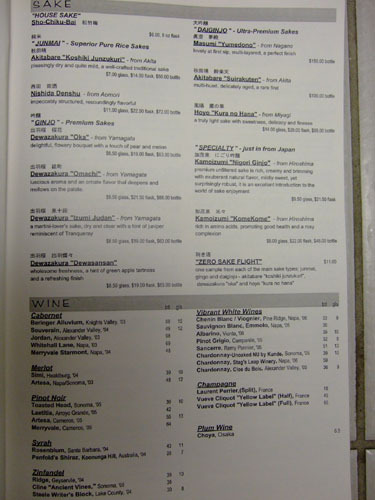 We had a wonderful meal there when I we t last year. The vibe there seemed to be more about the mood than the food. 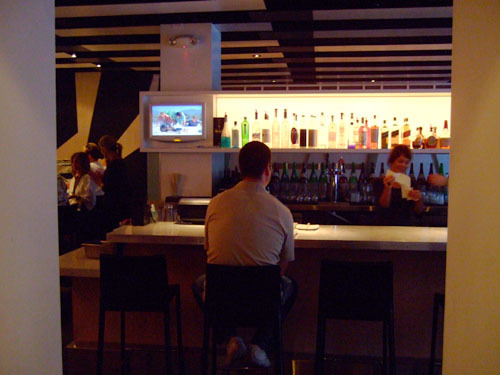 We had club music playing and it was quite dim (lighting). Overall, we enjoyed our dinner. I agree about the food vs. the mood. 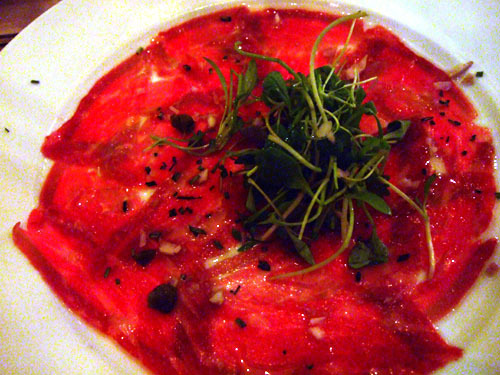 Though my meal there was solid, the original Abe in Newport was all about the food, but ever since he sold out, Abe's restaurant's have been on the decline. His new Sea Smoke has received quite negative reviews. Yep I heard. Can't say that I'm too saddened.